I hope all the mums out there had a very Happy Mothers Day yesterday! I didn't see my mum yesterday but we did go to the theatre on Saturday afternoon to see Dirty Dancing, which was awesome. I wanted to try and specialist my blog posts more, so I set up 3 other blogs and this one will be for my digital scrapbook pages. 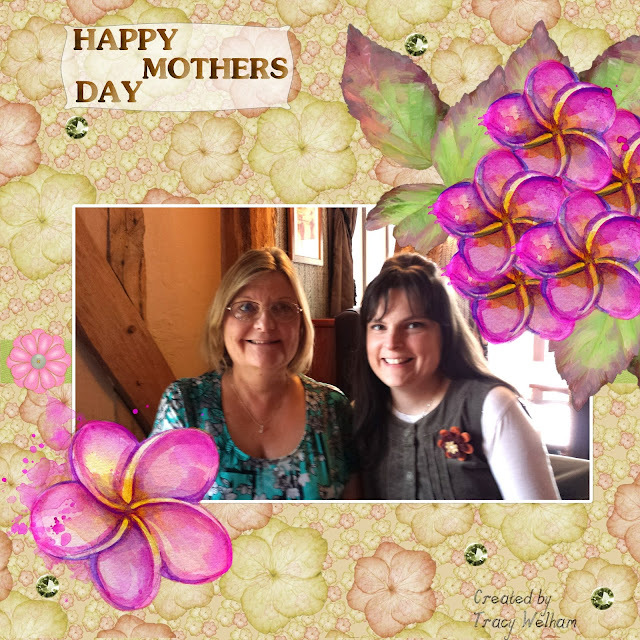 I'm sharing the page that I made for my mum. The photo is from her birthday meal last year. I have used Serif Craft Artist Programme and various digikits.